It is 1964. Katrina Marino leaves her job at a bar at four in the morning. Making her way home she motors through a city still awake and very much alive with people facing their own lives and problems. As Katrina arrives at the parking lot, making the short way to the door of her apartment she is faced with a knife wielding man who stabs her without any reason. As the crime is committed in the municipal gardens of the apartment blocks, people ignore Katrina’s cry for help, their own ragged lives making them reluctant to get involved. As Katrina lies on the ground, blood oozing from her stab wounds by her assailant who has run off after being disturbed, her neighbours deal with their own cries for help with love, marriage, suicide and death. 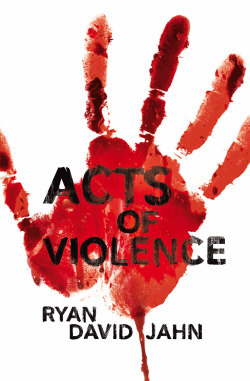 Acts of Violence is an astoundingly good debut from an exciting new talent on the scene. Ryan David Jahn has based this fictional tale on the real case of Kitty Genovese who was murdered in front of 38 people, none of whom did anything to save her. This phenomenon is now known as ‘Bystander Effect’. With the assurance of a long standing writer, Jahn gives us a wonderful novel of fractured people and their disappointing lives. We are introduced to Patrick Donaldson, 19 years old and conscripted to the war in Vietnam. He is pulled between his duty to his country and to his ill mother. Thomas, who wants to end his life of lies, is brought back from the brink from an unexpected quarter who opens his eyes to a new existence. Jahn beautifully moves from one apartment to another, describing the lives and tribulations of a small number of the people who have ignored the cries for help from Katrina. Acts of Violence is an astounding piece of fiction. It grips you like a vice from the beginning and doesn’t let you go. The author weaves not only these people’s individual stories within the larger tapestry that is the violence perpetrated on Katrina, but he infuses each scene with an amazing sense of emotion. I felt I had been on an emotional rollercoaster by the time I had finished the last page. This is an astonishing debut that stayed with me days afterwards. If this is what Jahn can conjure up for his first novel, then we are in for some stunning literature from this bright new star to crime fiction. 1) How would you classify your writing, and do you consciously try to write to a certain style or genre? I didn't think much about categorization until other people started doing it for me. When I was submitting Acts of Violence to publishers I simply called it a crime novel. It revolved around a crime, so that seemed to be what it was. Since then I've heard it described as literary noir, and also as a literary thriller. I'm fine with any of those or none. I don't really aim for a certain genre, but I do tend to focus on violence and guilt and identity, and other such things, which keeps one foot pretty well planted in crime fiction territory. 2) What type of crime novels do you like to read? Do you prefer series or standalone? I generally prefer standalone novels. Anything might happen in a standalone and you're starting fresh in a new world, which I like. A book is a doorway, and I like opening doors to worlds I've never been before. That said, there are several writers whose series work I enjoy and whose new books I anticipate. 3) What was the inspiration to base a work of fiction around the famous murder case of Kitty Genovese in 1964? I first read about the Genovese case in 1994, I think, in a book of television criticism called The Glass Teat by Harlan Ellison. Over the next fourteen years I encountered the case again and again—alluded to in a graphic novel, mentioned in a book by Malcolm Gladwell, referenced in a movie. Eventually I started actively researching it. 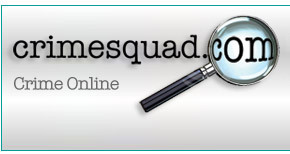 I found newspaper accounts. I bought books on the subject. 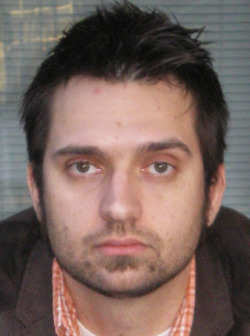 When, in the summer of 2008, I decided to try my hand at a novel—I'd written others, but didn't much care for them, so they remain trunked—the Genovese case was the first thing that came to mind. It had mythic qualities that appealed to me. 4) Did you research the ‘Bystander Effect’ whilst writing Acts of Violence? I couldn't help but do research on the Bystander Effect, as these days that's almost always the subject under discussion when the Genovese case is mentioned. The idea is that when something—a murder, a car accident—is witnessed by multiple people each person passes off responsibility for action to everyone else so that, finally, no one accepts it. The diffusion of responsibility in this way is a phenomenon that reveals, I think, a nearly universal glitch in our moral makeup—but not one that can't be overcome by an awareness of it and, in some cases, courage. 5) What was the spark that made you bring to such vivid life the lives of all the people who had witnessed such a devastating event? In non-fiction accounts of the Genovese case—particularly early non-fiction accounts—the witnesses are often portrayed as cold and apathetic. The apathy of urban life simply infected them and that's why they did nothing. That interpretation seemed simplistic to me. They were human like everyone is human, with the full range of complex emotions. To simplify it, to turn them into something other than that, was to deny that almost anyone is capable of that kind of inaction given the right set of circumstances. Though none of the characters is based on a real witness, I thought it was important to make them all individuals and I tried very hard to do that. I didn't want to create symbols; I wanted the story to be inhabited by people. 6) What do you start with: plot or character? Usually a scenario and at least one character come simultaneously. What if such-and-such happened to so-and-so? I'm not particularly interested in writing tough-guy characters with so many specialized skills that they hardly seem human—though I sometimes enjoy reading those characters—so the character I imagine is usually a mechanic or a payroll accountant or a telephone operator. Eventually I'll think of an ending, and that's when I know I can begin. It gives me something to drive toward as the story progresses. 7) What is it about crime writing that made you want to explore it as an art form? I suppose it's simply the subject matter to which I'm drawn—both as a reader and as a writer. Violence fascinates me. Death fascinates me. How we react when faced with it. What makes a person capable of inflicting it on another. What a parent will do to prevent its being visited upon a son or daughter. It's often in violent situations where we don't have time to think about the consequences of our actions that we find out what we're made of. Crime fiction is the most direct way of exploring that. 8) What are the qualities you look for in another writer's work? I think the same qualities everybody looks for—good writing about interesting characters in intense situations, or at least revealing ones. 9) Who would be your dream cast of movie actors for an adaptation of your story? I don't know that I have a dream cast, but there are actors I think would be good for certain parts—Forest Whitaker for Frank, Naomi Watts for his wife, Mark Ruffalo for David. If anybody does license the film rights, I'll have to think about it more carefully. I like to present only my best ideas before I'm ignored. 10) Without giving away the plot, which book included your favourite plot twist of all time? 11) What is your favourite movie adaptation of a crime novel? Miller's Crossing—an unofficial adaptation of Red Harvest. 12) Would you describe yourself as a crime fiction fan in general and, if so, which authors do you most admire and why? The dead writers I admire are probably the dead writers everybody admires. Some of the many living writers I admire—R.J. Ellory for his characterization and willingness to plunge into psychological depths, James Ellroy for his scope and his willingness to experiment with his prose, George Pelecanos for his ability to use small details to say big things and the way he puts his stories within a larger framework to contextualize them. 13) What is your favourite crime read of all time?